This 1/8 in cloth surface printed mouse pad is a very handy tool. 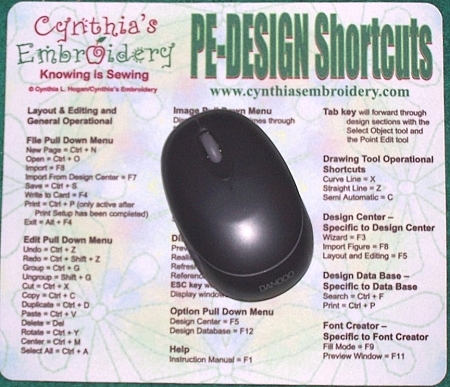 It is printed with the shortcuts for the PE-DESIGN program. This is one of our favorite accessories for the computer. Sale price only good on web orders.